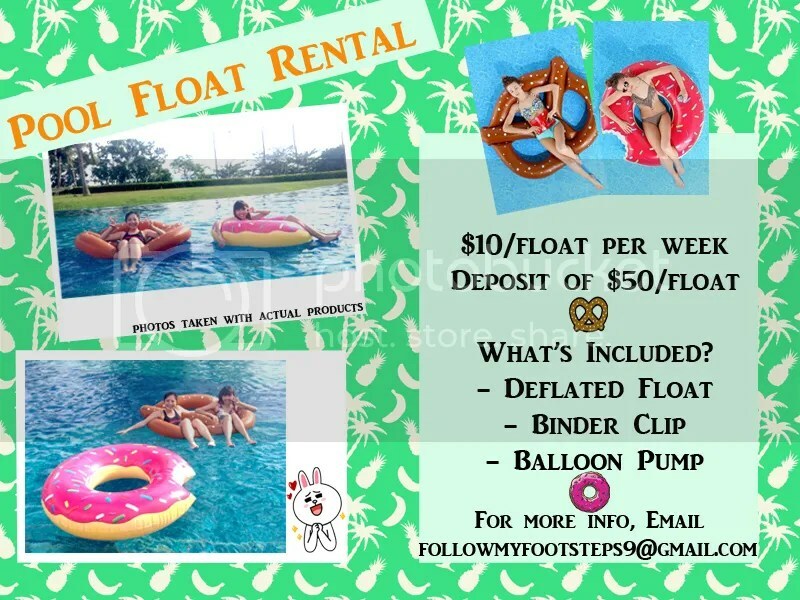 Pool Float Rental – PASTRIES ON THE GO! Ever felt that your holiday vacation lacks a little something? Fret no more! These cool floats will definitely make your trip fun and memorable! 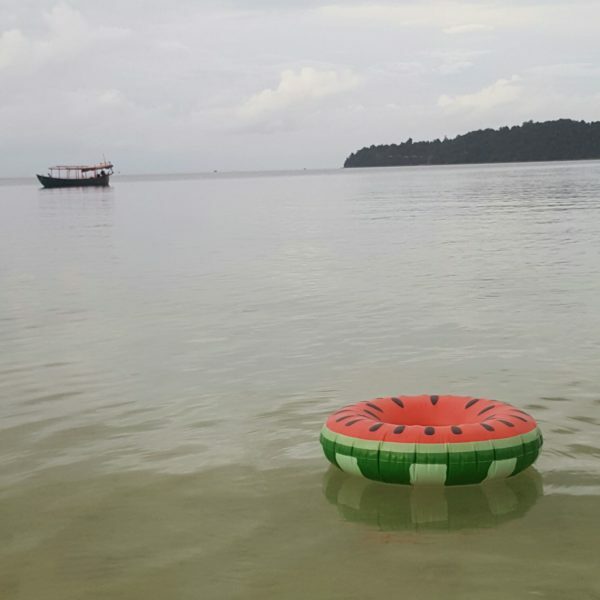 For only $10/float, you can rent one of the most awesome pool float ever invented! 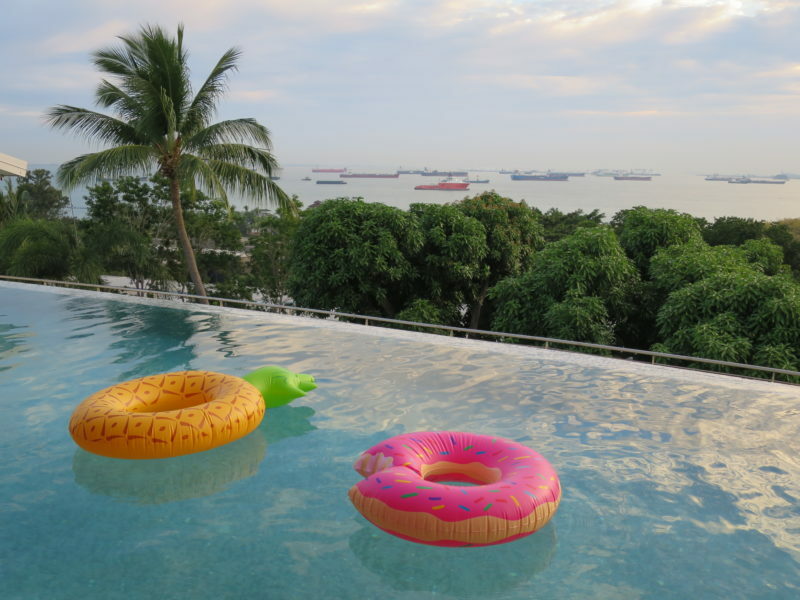 Impress everyone in the pool with these lovely pastries – Mr Pretzel & Ms Donut. Unicorn Float is available for rent at $20/7 days. You’ll be the center of attraction in no time! (1) Deflated Float, folded neatly. Each float is approximately 1kg. (2) Balloon Pump (Manual) – For hygiene matters, do not blow using mouth. – Rental of each float will cost $10 for a period of 7 days. – Failure to return the float on time will result in a penalty of $1/float/day. – For Longer rental period, please email for rates. – Rental is subjected to a refundable deposit of $40/float. – $15 will be charged if the balloon pump is not returned. If you would like to borrow both floats for 7 days, you will have to pay me $100 when I pass you the floats and pump. Upon returning the floats, you will not get your $80 refunded immediately. I will transfer the $80 to your designated bank account once I have fully inspected the condition of the float at home. (1) Each Float requires approximately 30 minutes to be fully pumped up (using my balloon pump). Deflating would take approximately 15 minutes with usage of the binder clip. (2) Floats are STRICTLY TO BE USED IN SWIMMING POOLS ONLY, NOT IN THE SEA. (3) After every use, please rinse the float with fresh/tap/clean water. (4) Floats has to be returned washed and dried, fully deflated and neatly folded. (5) If floats are not returned in good condition, I reserve the right to confiscate full/partial deposit. To check the availability of floats or if you have any questions, please email followmyfootsteps9@gmail.com or drop me a message at my facebook page. Rented for a week and it was a fuss free experience! Float was in a very good condition and it indeed make me feel like the centre of attraction! Thank you! Enjoyed myself very much, the floats are soooo cute!! A must-have in the pool! The donut float was in good condition and easy to use. Thanks for your feedback! Glad that you enjoyed it! Hi Michelle, Thanks for your interest but both floats are not available for rent during the dates that you have requested. Sorry! Hi, is it available for rent during Jan 23rd for a week? Are your floats still available for renting? I would like to rent both floats for this coming April. Tentatively should be 24 – 27 April. I’m afraid that my floats would not be available for rent as they are damaged =( I’ll let you know again if I happen to buy more in the future. Thanks! So sad to hear that. Do you mind telling me where did you buy the floats? hi there, i bought it from amazon, usa. Hi, are you located in Singapore? Are the floats available for rent for this Saturday (7 march) for a week and pick up available? Hi there, nope my floats are not available for rent. thank you for your interest! hi! are the floats still available for rental? Hi, i am interested in renting it over the weekend on 31st july. Is it possible?